A couple weeks ago, one of my very best friends came to visit. Megan is in med school in Kentucky, which means that she has to bury herself in the trenches the whole academic year, except for brief excursions out during breaks, which she happened to have in the beginning of November. Her break coincided with the end of my midterms so we both took a break and enjoyed her visit to DC. I would like to say that we took advantage of all the wonderful things DC has to offer, the museums, monuments, concerts, and shows. That would be a lie. Sometimes with a good friend all you want to is wander around and enjoy being together. And eat, of course. Megan is my gluten-free friend but luckily, DC is accommodating. Here are a couple pictures from her visit. Please appreciate that couple biking while wearing stylish clothes and holding hands. The people who inhabit the Eastern Market area are like that. 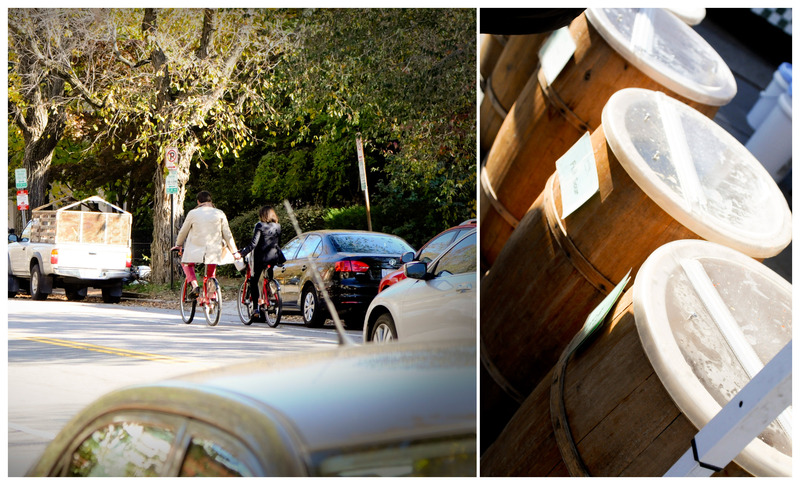 They bike around looking jcrew-ish and then stop by the market to buy pickles from giant barrels like these. After waiting in line for way too long, Megan and I at last experienced the joy of the gluten-free cupcake. Or Megan did; I held out for salted caramel with extra gluten. Dinner with Suze at Founding Farmers! 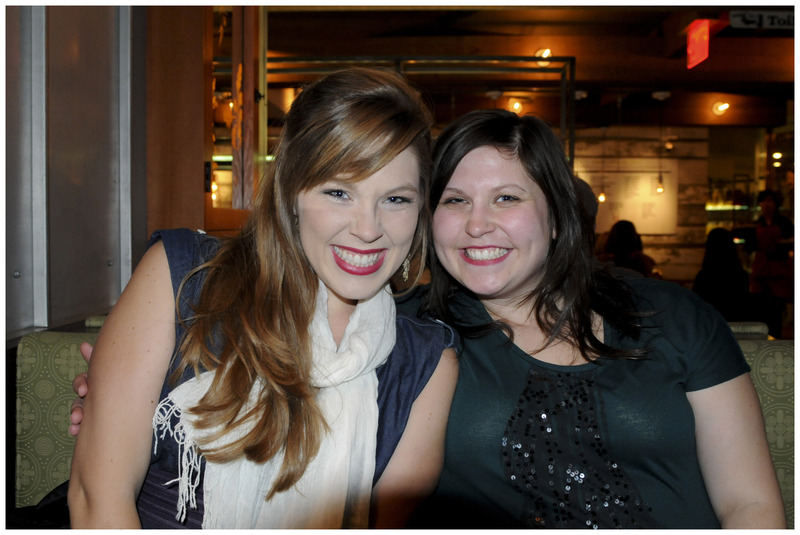 Secretly, I am trying to slowly get all of my besties from home to move to DC. This entry was posted in Uncategorized and tagged cupcakes, DC, fall, food, friends, restaurants, seasons. Bookmark the permalink.